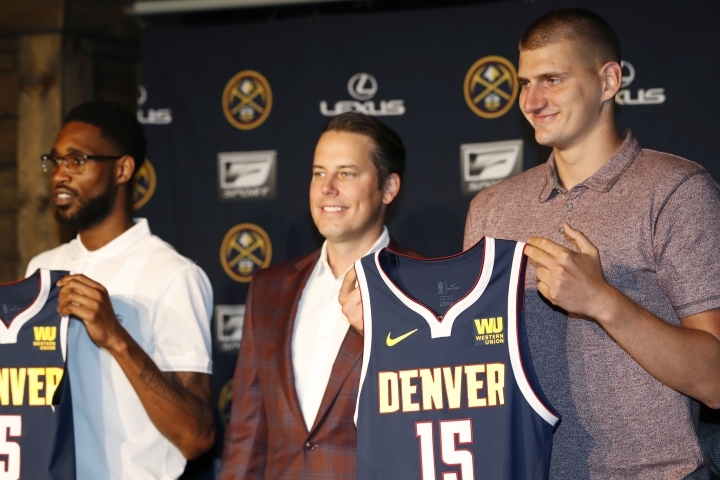 DENVER — Nikola Jokic and Will Barton grew up worlds apart. Their paths, though, followed a similar route to a big payday with the Denver Nuggets. Jokic signed a max contract worth around $147 million for five seasons, and Barton returned on a four-year deal that could earn him more than $50 million. As bench players a few years ago, Barton made a comment that stuck with his center. 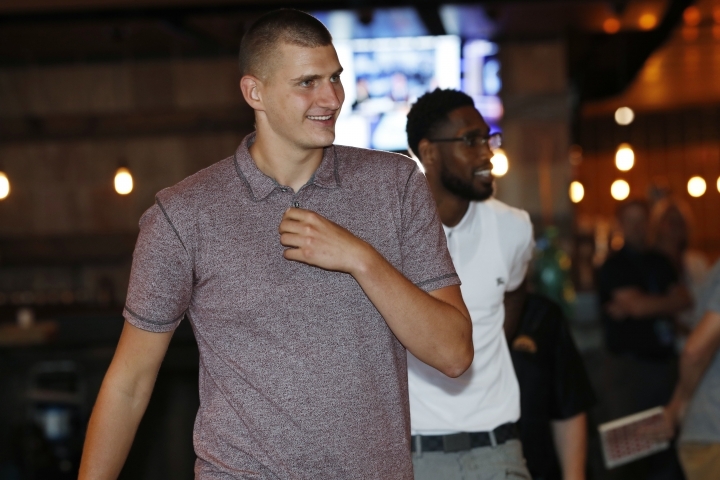 "He called us Kobe and Shaq," Jokic recounted Monday at a news conference for the pair. "We kind of grew together." From Serbia, Jokic was a second-round pick by Denver in 2014 (41st overall) — a 6-foot-10 project who needed to lose about 30 pounds. He did and has blossomed into one of the top big men in the league. From Baltimore, Barton was a second-round pick by Portland in 2012 (40th overall) — a sharp-shooter buried on the Blazers' bench and just needing a chance. He got one when Denver traded for him and became a versatile reserve player/occasional starter. 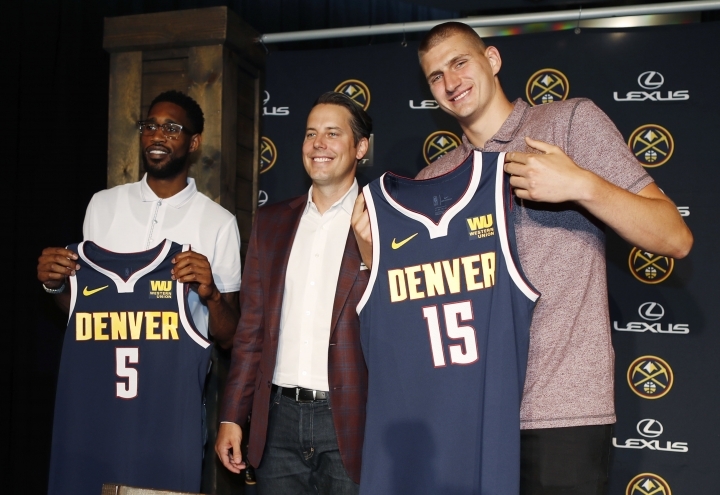 "I don't think we are a team that can follow other archetypes in how teams are built," Nuggets president of basketball operations Tim Connelly explained. "We have to find and develop guys. We have to find and develop guys who want to be here long term." Jokic is an unassuming star in the making. His 10 triple-doubles last season were the most in a single season for a Nuggets player since Fat Lever in 1987-88. In addition, Jokic is the fifth player in NBA history with 3,000 or more points, 2,000 rebounds and 1,000 assists in their first three seasons, joining names such as Oscar Robertson, Larry Bird, Maurice Stokes and Sidney Wicks. "To see how quickly he's made the jump and how comfortable he is producing against the elite of the league, it's something I've never seen," Connelly said. "He's one of the best players in the NBA." The spotlight really isn't his thing. He'd much rather be back home in Serbia this time of year, where his routine goes something like this: Work out, lunch, go to the stables to check on his two horses and then work out some more. He doesn't like the attention. "He's got this huge contract and life-changing money and everything, but he's going to still be with his horses, still wear sweat pants, even though we tell him to wear a button-up shirt," cracked his brother, Nemanja. "He feels comfortable. I don't think anything is going to change about it." It won't. Connelly and Barton were recently talking about that very subject. "I've never seen a guy less enthused about a contract this big — and I say that in a positive sense," Connelly said. 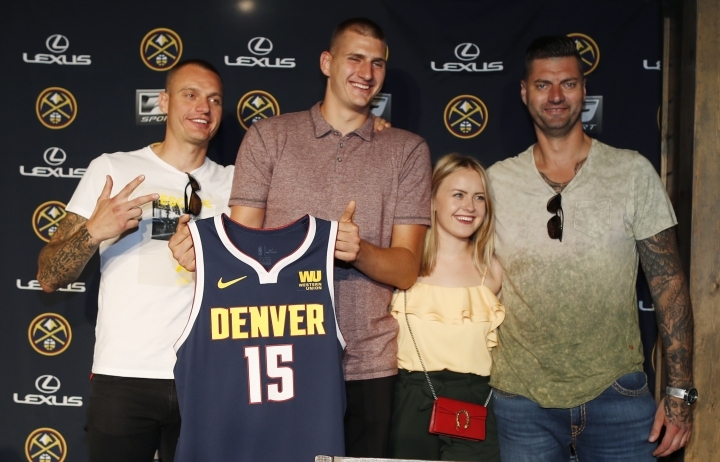 Jokic even said as much with Josh Kroenke, the vice chairman of Kroenke Sports and Entertainment, flanked to his right. "When I was younger, my dream was not to sign a big contract. My dream was to have fun and win big games, some championships," Jokic said. "Winning is the most important thing." The Nuggets are coming off a season in which they won 46 games, but the season came down to a winner-take-all scenario in Minnesota, where the Nuggets came up short in overtime to miss out on the playoffs. Jokic is trying to help the Nuggets reach the postseason for the first time since 2012-13 — an even more difficult task with LeBron James joining the Los Angeles Lakers. "We're not too worried about what anybody else is doing," Kroenke said. "We're worried about what we're doing and our process of winning. We started to hit on a few of those things last couple of years. A very underrated aspect of sports is continuity. These guys having played for several years now, that's only going to benefit us." Especially the bond between Jokic and Barton, who was acquired in a trade with Portland on Feb. 19, 2015. Barton averaged 15.7 points, five rebounds and 4.1 assists as he alternated between coming off the bench and being a starter. A big reason he elected to stay in Denver was coach Michael Malone not trying to rein him in. "Coach Malone lets me be me as a player," Barton said. "The style of play I have, a lot of coaches are scared of that, and they won't let me be me. Coach Malone never boxed me in. "I knew this is where I wanted to be."